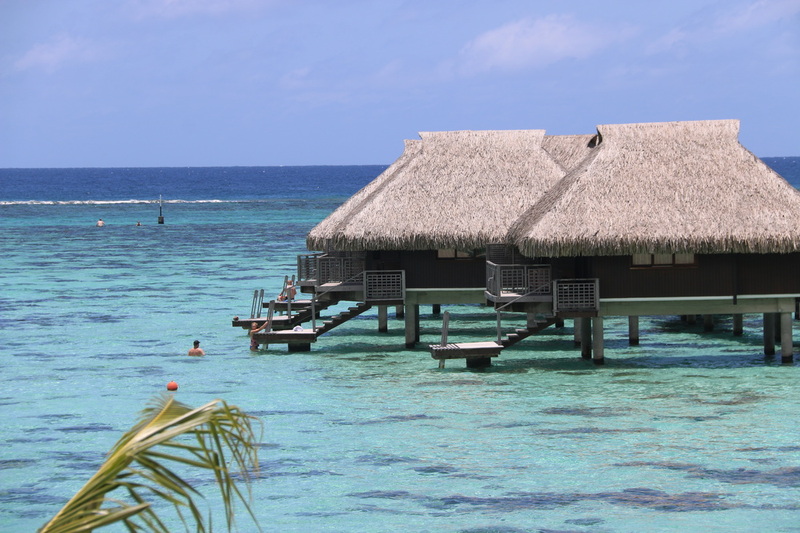 After traveling more than 6,000 miles and several time zones, my husband and I were thrilled to be able to conclude our South Pacific adventure with two nights in a Panoramic Overwater Bungalow. We couldn’t wait to get to our room and see and experience our dream place in real life! We were greeted with a complimentary bottle of champagne for our anniversary as well as a box of colorful macaroons. Not my favorite food, but I’ll eat anything when I’m hungry! Our room was decorated beautifully and very clean–and of course, we had a glass bottom floor under our coffee table. Take a peek at bungalow below.